In this edition 26 of MindMyHouse News: American freelance journalist, Jim Daniels, wants to talk to you about the weird and wonderful world of house sitting worldwide; we profile our longest-joining members, Larry Gregory and partner, Janis Stewardson from Canada; to the 45% of our house sitters who have yet to create their own listing – just do it! ; “You wouldn’t mind letting the builders in would you?” Why this question upsets professional house sitter and long-time Blogger on Assignment, Tom Hill; and finally, a Nigerian fraudster makes it through our surveillance net (briefly) to entertain us with his eloquence and charm. now that we are four we are feeling rather grown up! As we have become a small commercial enterprise we are now much more able to steer this little community website of ours into an ever brighter future. Our mandate to serve the needs of our house sitter and home owner members alike is stronger than ever! Hello to our dear remaining members. We have lost a lot of entries in our database in the past year: around 6000 of those good people worldwide who took the time to register with our service since we first came online over four years ago have handed in their keys. Goodbye to those curious folk and hello to the committed and conscientious number (nearly 1300 of you) who have remained with our service since we started charging a small membership fee in March 2008. We hope to reward your attention with a new level of commitment to your satisfaction in our service. Your suggestions on how to serve you better over the next year are welcome! The upside of downsizing our house sitter membership is that we now have more home owners (1980 at the time of writing) registered with our service than house sitters (1265). Mission accomplished! You may recall in a previous edition of this community e-newsletter that we asked why 120 Canadians joined our service on the same day in September 2007; well this phenomenon seems to have happened again. Can anyone shed some light on how 25 discerning Chileans came to us over a two week period in this January just past? Hmmmmm…hola! In this edition 26 of MindMyHouse News: American freelance journalist, Jim Daniels, wants to talk to you about the weird and wonderful world of house sitting worldwide; we profile our longest-joining members, Larry Gregory and partner, Janis Stewardson from Canada; to the 45% of our house sitters who have yet to create their own listing – just do it! ; “You wouldn’t mind letting the builders in would you?” Why this question upsets professional house sitter and long-time Blogger on Assignment, Tom Hall; and finally, a Nigerian fraudster makes it through our surveillance net (briefly) to entertain us with his eloquence and charm. We were approached by a super experienced caretaker and house sitter recently with a request that could involve you. Jim Daniels is a freelance author who is hoping to interview a diversity of voices about the weird and wonderful world of house sitting worldwide (especially if you are currently in the USA or Canada). In Jim’s sitter available listing he says that he has ‘good manners’ so don’t be afraid to get in touch! And what’s in it for you? A little bit of fame and perhaps helping MindMyHouse along the way. The larger our member base and the more we are known around the world the better the service will work for you! Six days after we launched our service waaay back on 22 February 2005, a charming mature Canadian couple, Larry Gregory and Janis Stewardson, found us online and decided to tackle our registration form. (It was a miracle that they found us at all as we were hovering at around number 300 in the list of websites Google considered relevant to a search for our keywords at that point.) The great thing is, after four years they have just renewed their membership with us and are now our longest-joining MindMyHousies! Come on down Larry and Janis! Both in their 50s, Larry and Janis describe themselves as professionals working in the field of psychology. 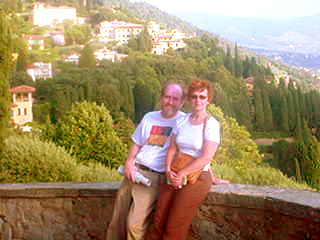 Since 2003 they have enjoyed several house sitting experiences in England, France and Italy. We hope that Larry and Janis find lots more assignments through us over the years and are able to make the most of their free lifetime membership with MindMyHouse! Four strikes and you are out! How you miss out four times over when you don’t create your own sitter available listing. I touched on this topic in the 22 February 2006 edition of MindMyHouse News but since then, due to changes in the way our site works, it is even more critical to your success as a house sitter that you create your own sitter available listing. People – without your own listing you are whistling in the wind! Home owners can contact our advertising members (shall we call them our ‘smart’ members) directly! A full 70% of home owners don’t advertise their assignment but choose to search our database of listings and contact our smart house sitters directly. Home owners can find our smart members on a Google map when they search our site using our Local Sitter Search. This shows them the 26 house sitters who live nearest to their property on a map. Home owners can click on a link contained within our smart members’ messages to them and view their photos, contact details and well-written biographies in an instant. So you see, our smart members have a massive advantage over the rest of you when they respond to sitter wanted listings as well! Home owners can save our smart members’ listings to their personal online Shortlist. This is a list of saved favourites that the home owner can access from their account area. Twenty-two of these members have been smart and created their own sitter available listing. The remaining 18 have not taken the time to advertise with us, preferring instead to do some ‘whistling in the wind’. The home owner feels a little overwhelmed by the response to his listing and also a little anxious as a first time user of the service. He hides his listing on the site and starts to sift through the many messages from our house sitters. The first two messages contain only a brief message and the house sitter’s contact details. To his relief, the third message he reads contains a link to the house sitter’s listing. Finally, he can see photographs of his potential new house sitters, read a detailed biography about them and with one click save their listing to his Shortlist. Hmmm…I wonder which of these applicants the home owner will respond to? The following quotes are from our home owner members and say it all really! Hi, Yes so far so good, I had lots of responses and I’m just in the process of ‘interviewing’ everyone. 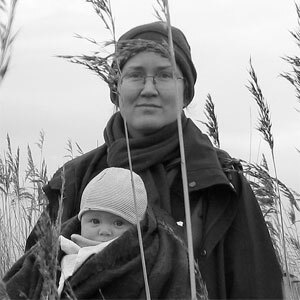 They all seem like good quality people and the site is fantastic. Thank you! The only problem is when someone does not have an advert/profile, it makes it difficult to know who you are dealing with. Will let you know if and when I choose a housesitter and how it goes. It would be in your advantage to subscribe yourself at mindmyhouse2.localhost:8888, so that we can read more about you…potential houseowners can reach you then. I have received a promising message from one of your house sitters, however I am concerned that I can’t see her profile. Is this a legitimate house sitter member of your site? See how our home owners really NEED to be able to read your listing online. To get started on this path to success, first choose ‘Create my listing’ from the left-hand menu in your account area. Good luck with it! We have written a brief but useful document on how to succeed at this competitive game which you can read from our new Registration page. If you’re hearing this statement on the eve of the home owner’s departure before you commence a month-long house sit, it probably means two things: You haven’t drawn up your pre-assignment agreement carefully enough, and you might just be in for ‘a couple of weeks’ of hell! Any house sitter, part time or professional, should be aware of the unique issues that ongoing building works can cause. As professional house sitters with around seventy-odd assignments under our belts, we have had mixed experiences of house sits which have included kitchen fitters, plumbers, painters, gardeners and various tradesmen. So begins European house sitter extraordinaire, Tom Hill, in the latest update to his excellent e-book, ‘Successful House Sitting. An easy how-to guide by Tom Hill of Housem8.com’. We reviewed Tom’s very useful publication in the last edition of MindMyHouse News. Well, it just got bigger! And you can now download this very useful e-book for a recession-busting US$7.95. You can view this new chapter in its entirety by visiting Bloggers on Assignment. Quite a few of our sitter wanted listings have featured a request for supervision of builders and people to live in a property while renovation work is carried out. And it would seem that sometimes this type of assignment can be an enjoyable experience. Thanks from Spain. My first ‘official’ house sitting appointment was through my advertisement on the mindmyhouse website and has proved to be a success with a return request. I was planning to travel around south east Spain in my motorhome for the winter months and was looking for some house and/or pet sitting to help me get to know various areas and to help keep the costs down. My first house-sit was for a period of 3 weeks for both security and to let the builders in on a daily basis. It was considered a success on both sides as I have been asked to return in 3 months for another 2 week sit. We even had one home owner from the UK advertise for a ‘ruin-sitter’ for her latest project in Bulgaria. She wrote to us in gratitude, thankful that she had apparently found one! Then there was the Croatian family who wanted a house sitter to renovate their loft for them in exchange for erm… free accommodation in the aforementioned derelict loft space (we didn’t publish this listing as it didn’t meet our criteria). While it doesn’t seem ideal to have to co-exist with builders and other tradespeople while on assignment, at least some of our house sitters seem to have enjoyed it. As ever, Tom’s advice is spot-on and oh so easy to access for any interested parties. Can we say to those of our members who do agree to an assignment that has these kinds of added responsibilities: know what your boundaries are and don’t be afraid to negotiate with the home owner as you go along to stay safe and happy while on assignment. You may have a story to share about your experience in this area…don’t be shy, write to us! A Nigerian fraudster makes it through our surveillance net (briefly) to entertain us with his eloquence and charm. If you receive a message from Fred or one of ilk telling you that ‘somehow he finds his discretion attaching to your house sitter profile’, don’t just laugh, forward it to us so we can showcase it in the next edition of our e-newsletter. Happy house sitting. Or best of luck with your sitters!